Wow! that is the best word i can use to describe these cars. We brought the Audi TTS as we needed 3 cars as we have triplets. We asked your advice and when you said this model had a 2.4g remote control which meant they could all be used in close proximity without the frequencies interfering with each car we were delighted. 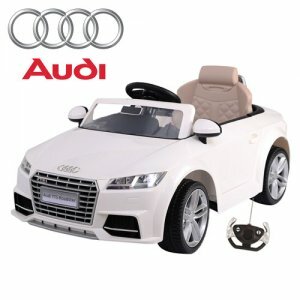 The cars have great features and its worth paying the extra for a licensed model as they are better quality. Well worth the money in our opinion. We'll be back when they need a 24v car or jeep. Thanks for all your assistance in helping us choose the right car for our kids.